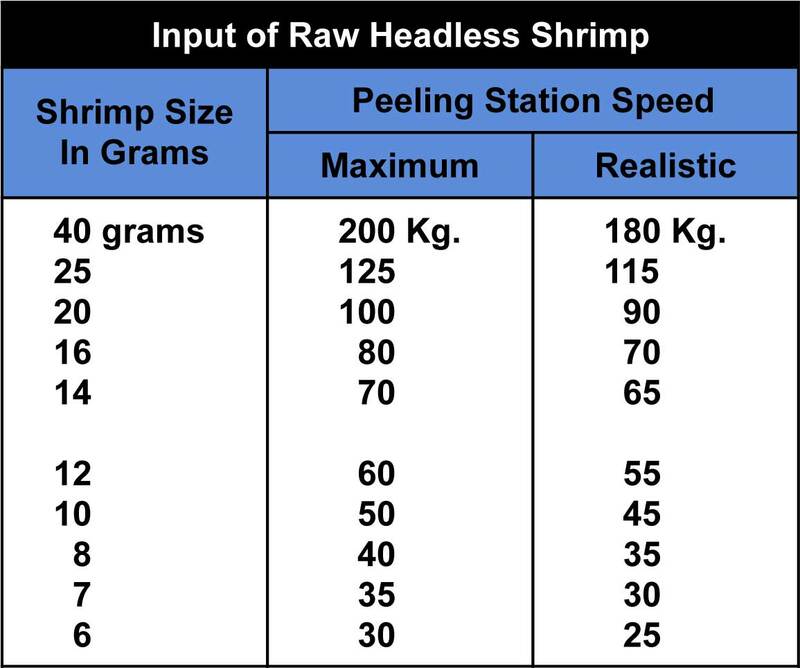 The larger the shrimp, the greater the productivity in pounds. Column 1 shows the maximum speed of 5,000 per hour. Column 2 shows actual, achievable, experience based productivity of 4,500 per hour. Column 2 speeds assume shrimp are delivered to the peeling stations, operators and maintenance team have experience. Both models run at 2 speeds, 5,000 and 4,000 per hour. The slower speed is intended for training. 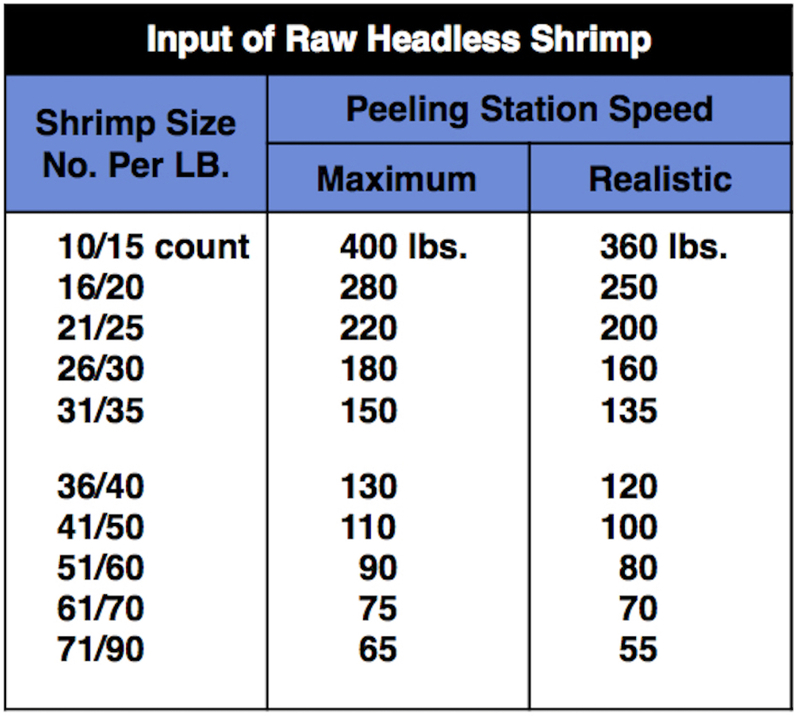 Accuracy of shrimp placement is more important than speed when preparing a quality product. 69 gallons per hour at 40 pounds per square inch pressure typical. 0.27 cubic meters at 3 bar pressure typical. Some peeling system configurations use additional water.